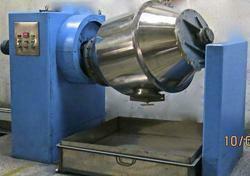 With an aim to fulfill the diverse requirement of our clients, we are engaged in offering a wide range of Ribbon Blender. 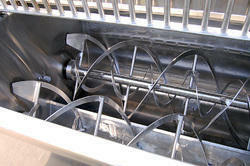 As a client centric organization we are offering an extensive range of Ribbon Blender. Ideal for Uniform & Homogeneous mixing of dry / semi wet blending & mixing of various materials having different densities provided with various designs of the blades to suit the process requirement. The automatically / manually operated. Used in Pharmaceuticals, Chemical, cosmetics, Foods industry.